﻿If you ask the athletes, volunteers or spectators of previous years, they will tell you that the Pavilion Lake Triathlon is a family friendly race, a great experience, a beautiful day on a scenic course, and according to one racer, the most fun he's had with his clothes on! The pavilion triathlon’s date is moved up a couple weeks from September to August 26 for 2018. With warmer weather, warmer water and warmer faces we are looking forward to the date change. You’ll swim 750m in the cool crystal waters of Pavilion Lake. 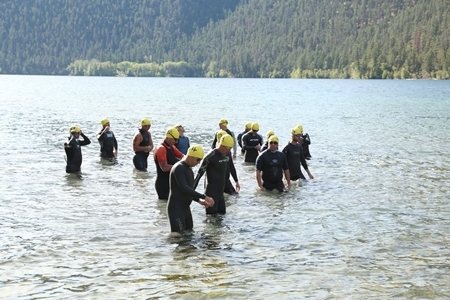 The swim is ideal for newbies as you can stop and stand on the opposite shore 1/2 way through the swim. Then hop on your bike for scenic views of lakes and rocky cliffs and ride some nice rolling hills on an easy 10km out and 10km back on the shoulder of hwy 99. A quick transition on a huge grass yard into your running shoes for a 5km run on another section of hwy 99 for another out and back. Runners go the opposite direction of the cyclists. Again with beautiful views. ​Use this race to your PR on the sprint distance, or come out for your first race. Racers and spectators will agree that the Pavilion Triathlon is a grass roots race that you can race solo or even in a relay. Top age group medals for the fastest athletes and draw prizes for the rest. Race starts at 11am with awards at 1pm. 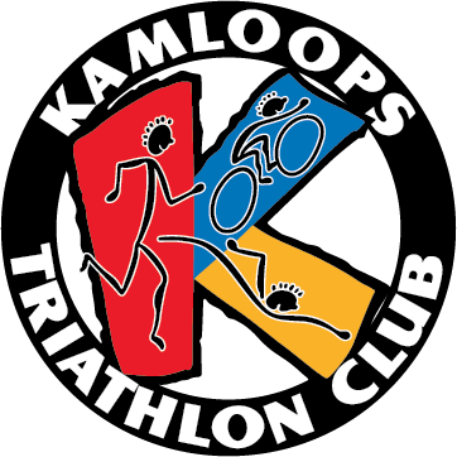 Located approximately 127km west of Kamloops, the Pavilion Lake triahtlon is a fantastic way to finish your strong season. This is a fantastic low-key race that you will want to come back to year after year. Make it a camping trip and bring the whole family!